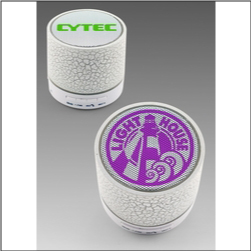 Order Custom Lighted Bluetooth Speakers – perfect for a gift or giveaway item for employees, events, holiday exchanges, fundraisers, and more. White body and RGB LED light, with Bluetooth 3.0 and a built in microphone to be used with conference calls etc. Play up to 1.5 hrs of music with 3.5mm input plug as well, and charging cable included. Operates up to 10 meters away. Great for desk work, listening to music while cooking, in the car, on a campout, while traveling, on a bike, picnics, and more! Order Custom Multi Pocket Badge Holders – great for holding ids and smaller items like phones, pens, money, etc. 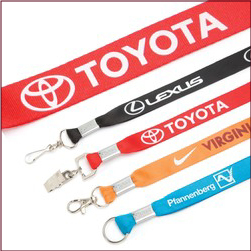 Great for events where volunteers and workers need visible IDs – but also perfect to use around the neck when traveling and IDs and money are secure and easily accessible. 3.5inches wide by 7.25inches tall. Top has a velcro flap, with clear PVC front badge pocket. More pockets, pen holders, and an adjustable strap included. 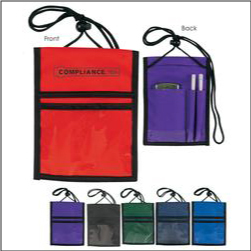 One of our most popular trade show and convention items for over 2 decades. Order Custom Ear Buds in Printed Hardcases – perfect to use for school and booster fundraising, race giveaways, fun gift handouts and more. 44inch long ear buds each come in clear triangle shaped plastic case that will be customized with your brand or logo. A great tech trade show hand out or giveaway. Use these custom ear buds to help raise money for your team, school, non-profit, or booster club. 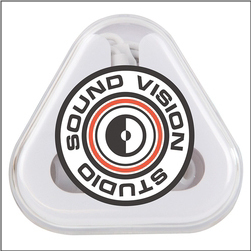 Order custom Imprinted Stereo Headphone Earbuds with your business, organization, company, school, or other logo branded on the case. High Quality sound from these lightweight headphones includes universal adapter. 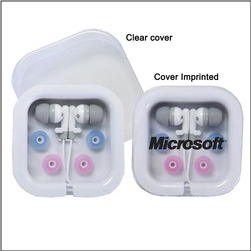 Interchangeable ear bud covers. Red, Blue, Black, White. A popular race event giveaway! Order Silicone Wristbands customized with your school, event, race, or business message included on each band. 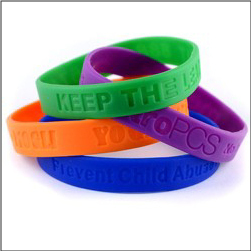 These wristbands come in a number of sizes and colors and are featured with a quick turnaround order time. Imprint area approx. 3-3/4inch L x 1/4inch H – ordered in increments of 100.
engraving on the front side. These are popular! 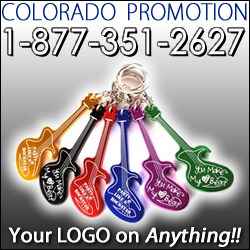 Imprintable Keyring Bottle Openers shaped like Guitars – perfect for giveaways at concerts and music festivals, bluegrass celebrations, summer concerts in the park events, and so much more. Promote a guitar or musical instrument business. Teach guitar lessons? 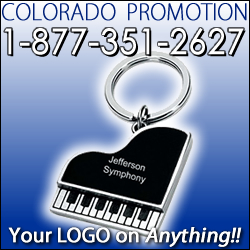 Give your clients this handy promotional keychain and advertise your musical talent and services.